Apps and cyberspace are the common hangout zone in today’s world of advanced technology. The best way to reach out to your customers in the conventional times is the online mode. It helps to cement a loyal relationship that further prospers business of the company. Restaurant owners should not miss on this technology since it is the feasible mode to augment the size of their prospective customers. The online space has shrunken the distance of physical world. Customers can check different restaurants and scroll through the menus of latter on the mobile apps. It is not only the customers who are at the benefit with the grace of this technology but restaurant owners can also have a large share of profits. Technology has served as the boon to both customers and business owners. 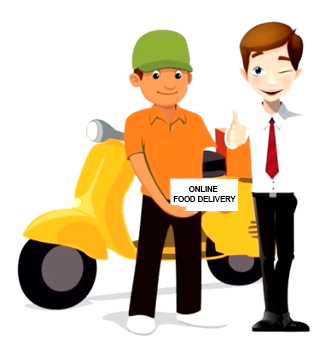 What makes restaurant online ordering system a boon? Restaurant owners can enhance the share of their revenues with a smart use of technology. They can get their apps built with mobile food ordering app that will allow their product to reach the maximum prospective customers. Better Capacity to take Orders: Restaurant staff cherishes the ease of handling and taking a large number of orders without any hassle. When the orders are given through phone or otherwise, there are large numbers of chances of mismanagement, inaccuracy, and constraint to take limited orders. But here, the online magical wand sweeps away all the worries and helps the restaurant owner to a pocket large share of profit with a number of orders. Smooth Passage for Customers: Apart from being a pocket-friendly boon for restaurant owners, the restaurant online ordering system paves a smooth passage for customers as well. They can easily give large orders, check the menu right with a few taps and take as much time to decide and drop their orders. There are no worries of waiting in the queue and there are also no issues with busy connection.Customers do not need to remember their orders and mug up in their mind so that they can give the right order. All they need is to click on their wish list items and this ease enables them to check out more items and select a few more. A Lasting Relationship: The restaurant online ordering system maintains a lasting relationship of the restaurant with its customers. The online system enables the restaurant to keep track of the taste of their customers, what has been ordered the most and what needs improvement through review comments. They can keep the track of the customers who are most loyal and regular to their food and this helps to reinforce a lasting relationship. Better Management: The management of taking orders will improve a lot with online ordering system. There are least chances of human error as everything is managed and organized via technology. All it requires is to be at the best with the orders received and serve them rightly. This enables ease in working and maintains high accuracy of taking orders from the restaurant. Get the Robust Database: Restaurant owners can get the robust database of their customers through mobile food ordering app. This is the major boon for restaurant owners as they can target their customers in future as well when they launch new cuisines. They can also survey them or ask for the feedback through online mechanism to improvise or add to the menu according to their customers’ choice. With thriving advantages of the online ordering system, a wise restaurant owner should not miss the opportunity to shoot up the sales of its product. It is the helping hand to the restaurant and a friend in need. 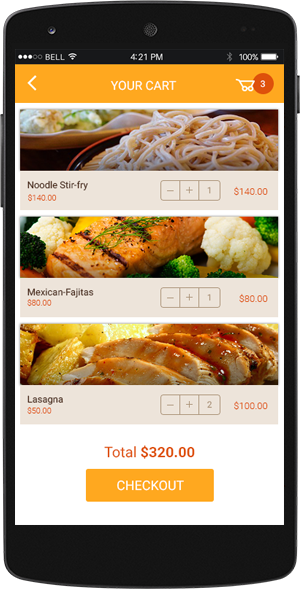 If you are looking to enhance restaurant ordering system, try RestroApp & get an app for your restaurant.